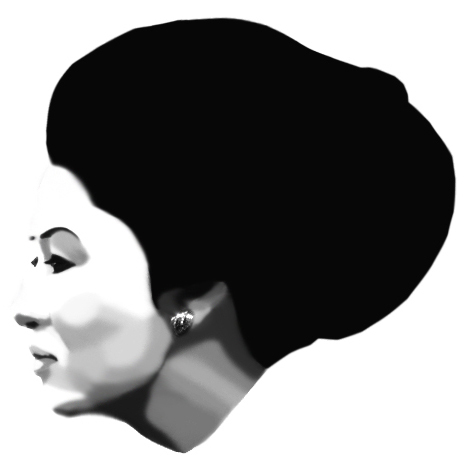 Part of my passion for the arts is doing graphics, and I haven't really featured it much in the site yet. 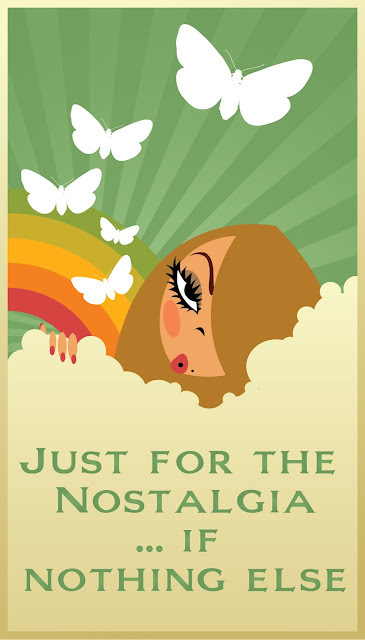 Since graphic works is part of my day job, I really can't find time to pick a piece to feature here. Then again, due to an upcoming event by the end of August, I felt the need to do a few pieces to be printed out on shirts. 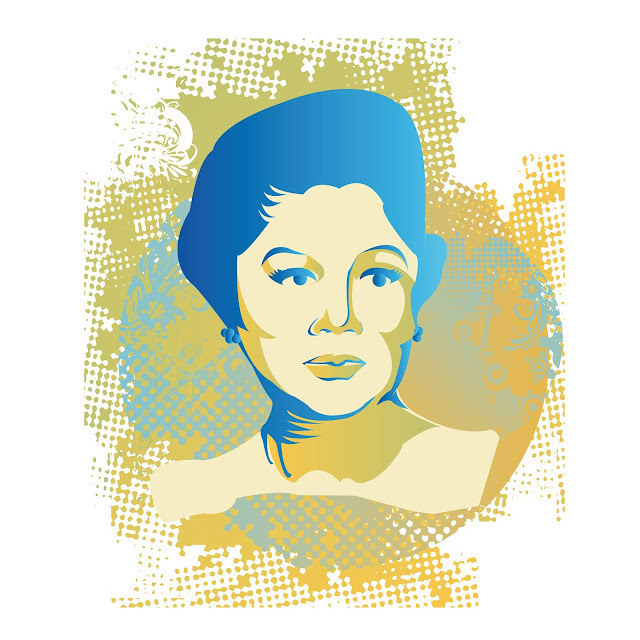 I have been a big fan of Imelda Marcos since I discovered her glamorous vain life. 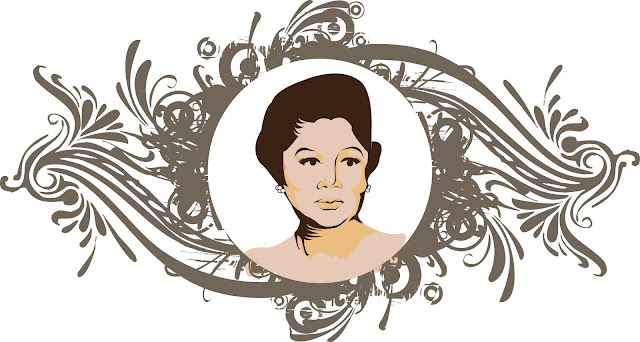 Not for anything else, Imelda is an icon of vanity and beauty; so why not make her a subject? 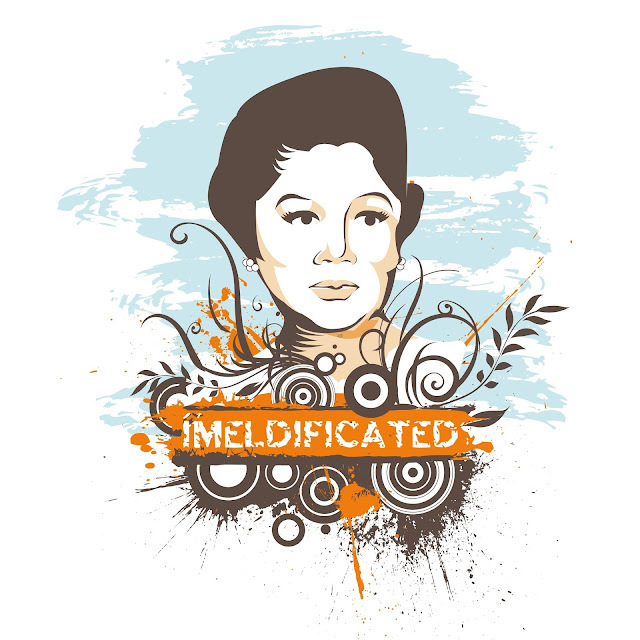 So here I present my Imelda t-shirt collection. A limited edition shirt designed for those who are fashionably daring and statement-inducing people, who pays respect to the imense contribution of Imelda to the beauty and arts industry. Of course, a tribute would never be complete until I am able to fulfill my obligation as a "lamb"; so I just had to insert one shirt design dedicated to my favorite diva, Mariah. 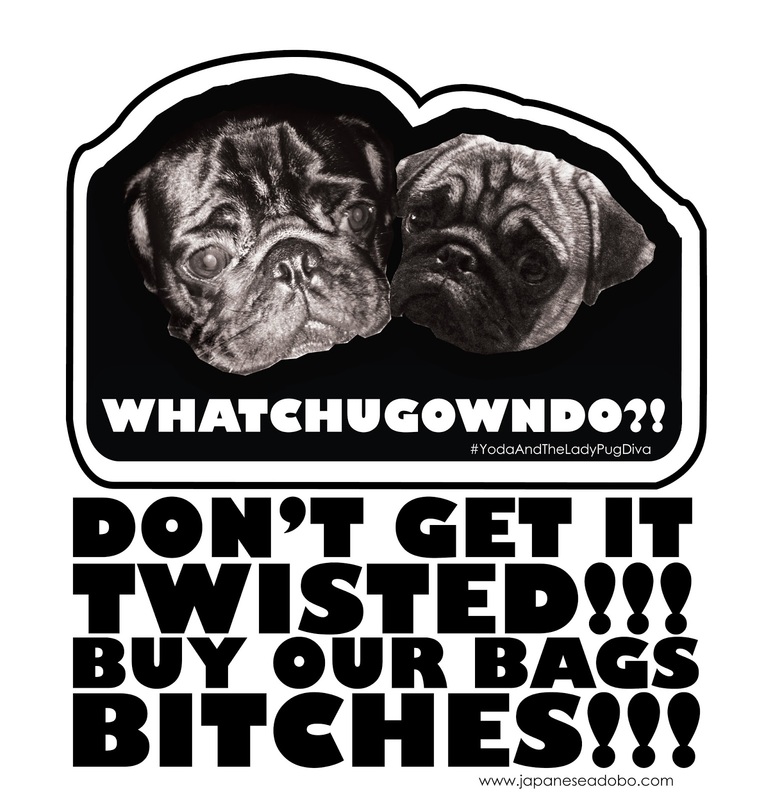 On top of it all, our dogs Yoda and the little pug diva Mariah will be selling their own bags too. The “Whatchugowndo? !” eco bags will be sold by our cute pugs on the event. They’re business-minded too you know. LOL. I mean just for fun right? Why not! I hope you guys can check out and support the very first JapaneseAdobo Sale at the BGC Art Mart this August 31 - September 1, 2013. We'll be featuring the classic JapaneseAdobo Bags, oil paintings, and limited edition merchandise for the art bags and shirts. See you there!